Retreat date moved to October 4th & 5th. 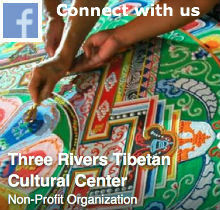 Mark your calendars for this special two-day retreat with TRDC/TRTCC Resident lama Ven. Khenpo Choephel, who will give the transmission, instructions, and lead the meditations. Our Four Seasons retreats have previously included many other preliminary practices. This Autumn season will focus on Compassion and Loving Kindness, the fifth part of this very special preliminary practice, which we call Mahamudra.